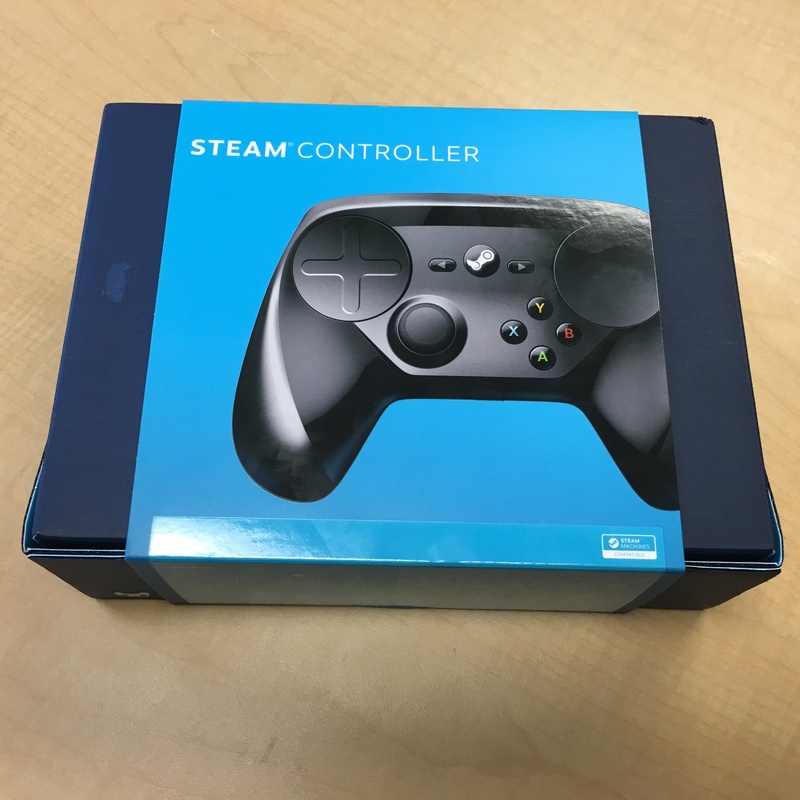 Steam controller on PC review | Business IT service by Computer Studio Inc. 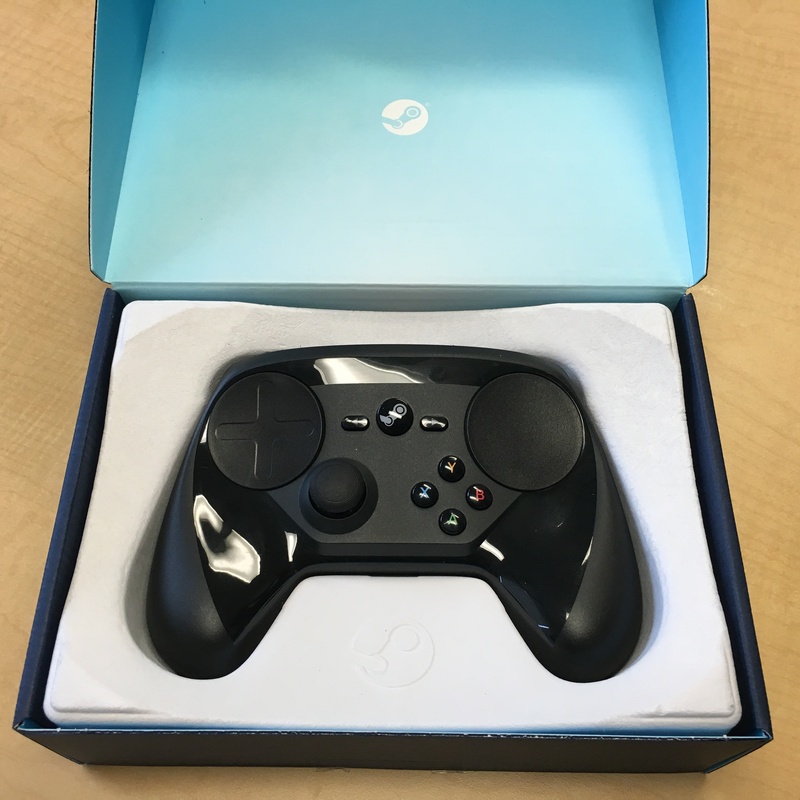 Valve has finally released the elusive Steam controller, and we can’t wait to get our hands on it. 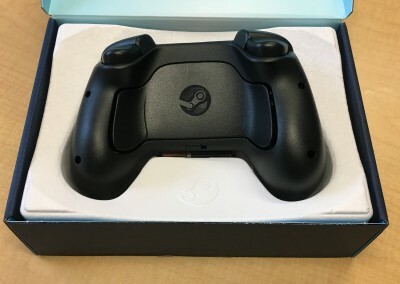 We originally pre-ordered the controller once it was available in the Steam store for $50 and almost forgot all about it until it showed up in the mail last week. 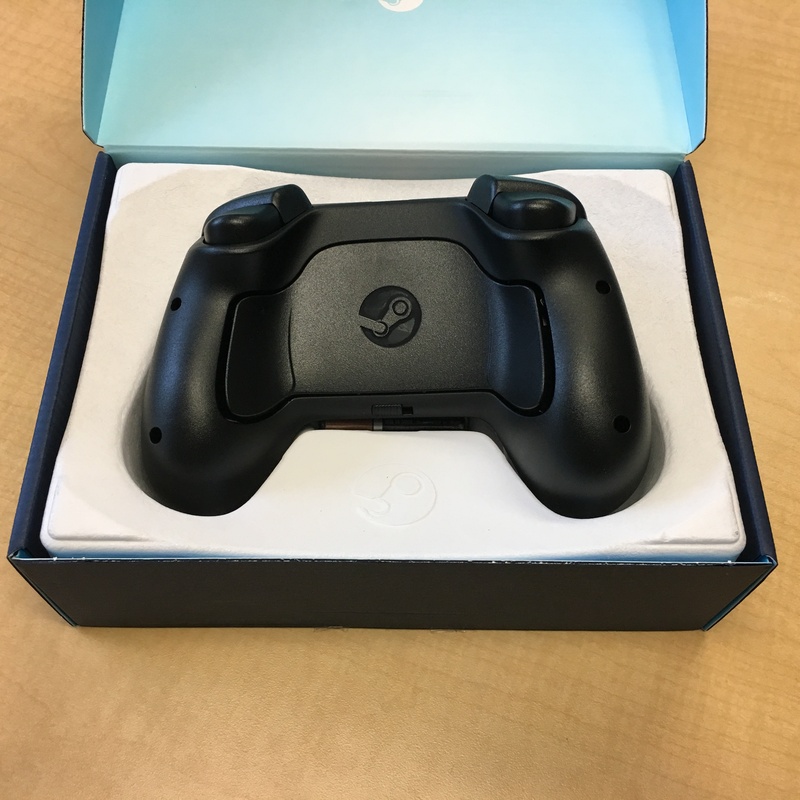 It was weird to receive something tangible from our beloved Valve since its been a on screen affair up to this point, but worth being in fron t of the line on this one. 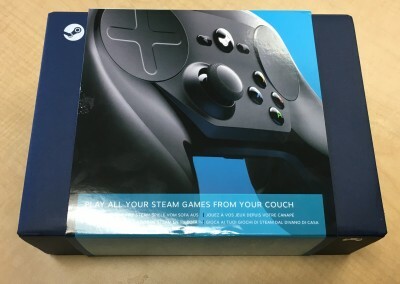 This is a review of the Steam controller used on a PC to play games on Steam. 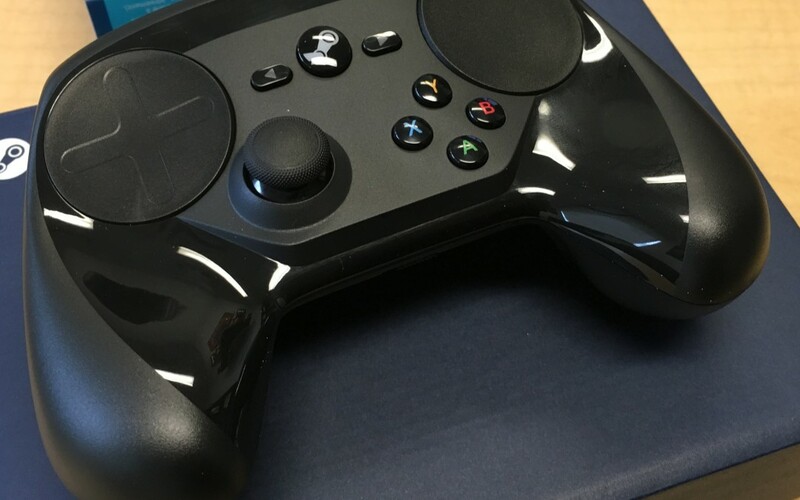 At first glance the controller looks like the XBOX One controller and the Wii pro controller had a mutated child. In a way its a compliment because it looks approachable with its colors and button layout. The controller comes with a wireless dongle and batteries to get started right away. 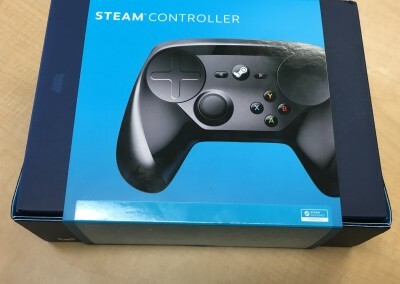 Problems begin when you hold the controller do to possibly from being conditioned over the years to XBOX and PlayStation style controllers, the way the Steam controller fits in the palm feels over sized compared to the traditional tapered grips. It feels like I’m cradling the controller instead of gripping it with confidence. In effect making the controller feel bulky and clumsy since i cant get a confident grip. So what’s it like in game? 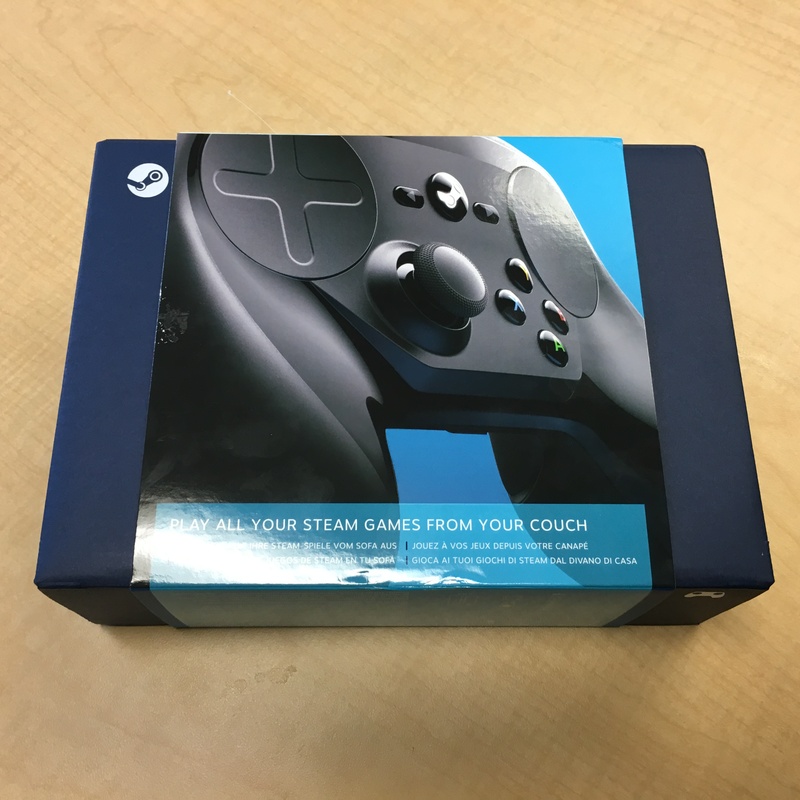 Struggling to find center basically… We take the analog sticks for granted, and appreciate the heck out of it when met with the Steam controller. I think this could be solved with a bump in middle of the controller touch pads or something, but its really hard to use the right touch pad that is always used to look around in games when i cant find center and result in just looking at the sky in tense situations. Obviously this can be operator error, but its so easy to just plug back in the good old XBOX One controller we’ve grown to love and have the analogs always be in the center where i leave them. The controller promotes a claw like grip where the fingers and thumb are bent instead of the traditional apposing pistol grip style of the XBOX and Playstation. Should you buy it? I’ts a hard sell when a wired XBOX 360 still does the job. 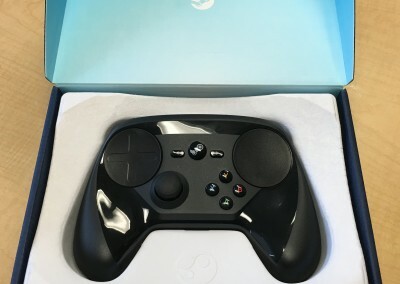 How will this fair in a market not in need of a new take on the controller design? Time will tell.